Posted on 01/29/2016 How Much Does An Attorney Charge for an Injury Case? 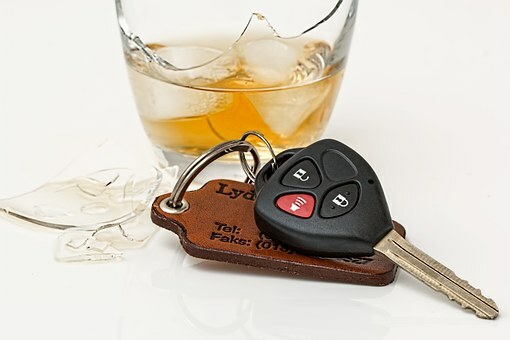 If a drunk driver caused your car accident in Des Moines, the standard for proving the drunk driving accident case will differ in civil court compared to criminal court. Learn the difference and how each affects you. What is the difference between a criminal and civil case? There is a big difference between a criminal and civil case, although a person who has committed a criminal offense may face both. A criminal case is a case brought against the defendant by the state prosecutor’s office. It is meant to punish the defendant for the crime if convicted. A civil case, on the other hand, is a case brought against the defendant by a victim (or personal representative of the victim) harmed by the defendant. A civil case carries no criminal penalties, thus a person found liable for damages in civil court does not necessarily face criminal penalties. Instead, a person found liable in civil court will have to pay damages to the victim, usually in the form of both economic and noneconomic damages. Of course, in some cases, a defendant may face both criminal charges and a civil lawsuit. If you're the victim of a drunk driving accident, you may bring a civil suit against the drunk driver. Your standard to prove negligence in civil court is lower than the prosecutor's standard to prove guilt in criminal court. It is a crime to operate a motor vehicle while under the influence of drugs or alcohol. In Iowa, “under the influence” is defined as a motorist operating a vehicle with a blood alcohol content level of .08 percent or higher. The prosecutor must prove beyond a reasonable doubt that the person was operating while intoxicated (OWI). The prosecutor may rely on blood alcohol concentration (BAC) tests like a breathalyzer administered at the scene. Dashboard cameras of the defendant's behavior may be evidence too, as well as officer or eyewitness testimony. The prosecutor must also address any defenses the defendant uses. Filing a civil suit is different than prosecution in a criminal suit. Instead of proving guilt, the plaintiff is aiming to prove the defendant's negligence and liability for damages. Negligence means failing to act in a manner that a reasonable person is expected to act. Driving under the influence of alcohol is negligent. The plaintiff must prove the driver was drunk and caused the wreck. To do so, the plaintiff may present evidence of impairment, like BAC results, officers' reports, eyewitness testimony, and other evidence similar to that used in a criminal case. The plaintiff must also address any defenses the defendant uses, such as defenses in the criminal drunk driving case. But the standard to prove guilt in a criminal case is higher than that to prove negligence and liability in a civil case. In a civil case, the plaintiff must prove that it is more likely than not that the defendant acted negligently and caused the wreck. So a defendant may not face any criminal penalties for drunk driving, but may be liable in a civil suit for driving while impaired and causing a wreck. If you were in a drunk driving accident in Des Moines that another party caused, the authorities will handle criminal charges against the driver. However, to recover compensation you’ll need to file a personal injury lawsuit. Contact the attorneys at Walker, Billingsley & Bair for help filing your case and proving negligence and liability. To get started, call us now at 888-435-9886 or contact us online.